Question: Should you spend a semester or more studying abroad? Answer: Why is that even a question? Yes! Get out there, have some adventures, find your travel feet, and diversify your academic resume. Travel builds character, and goodness knows most of us could do with a little extra character. 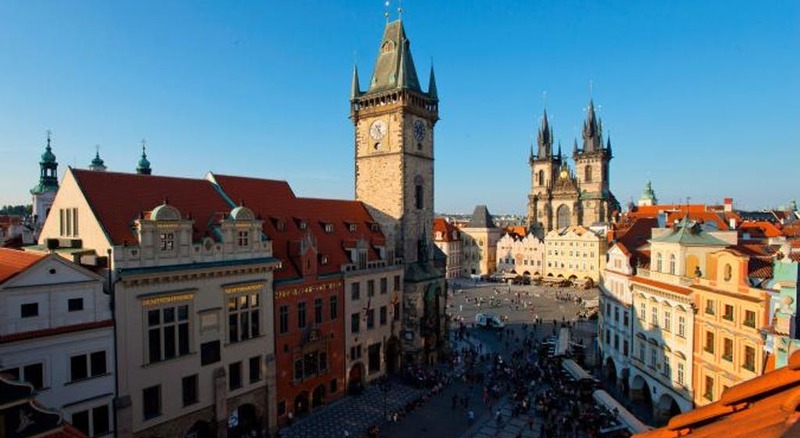 A few summers ago, I spent a semester at Charles University in Prague, the Czech Republic’s capital. I tacked on some solo travel to either end of my semester, made a grand adventure out of it, and earned my backpacking stripes along the way. Three years later, it’s still my favourite thing to talk about. So, I’ve cobbled together some tips for anyone who is preparing to go abroad, whether for study purposes or just to travel. These tips are general, so they’ll be applicable regardless of your destination. Read on! Don’t let funding be a reason not to go abroad. So many scholarships, awards, and bursaries are out there waiting to send students on amazing exchange experiences! SFU’s Study Abroad office has excellent information on financial resources specifically intended to fund students’ exchange experiences. 2. Jet lag is a beast. Arrive a few days early. It took me a full week to recover from jet lag, but I had the privilege of having arrived in my destination’s time zone a month before my program started. My classmates were less lucky and had to struggle through the first week of classes while totally discombobulated. It didn’t look fun. 3. Pack a full change of clothes and toothpaste in your carry-on. It’s not fun, but it is a part of travelling. Chances are pretty good, though, that your fellow exchange students are experiencing the same thing. Talk to someone about it. You might find that’s what it takes to start making friends. Don’t be too hard on yourself when the homesickness hits. Make sure to give yourself time to adjust to your new home away from home. Immerse yourself in your new cultural context, but don’t lose yourself in it. Stay in touch with your family and friends, read a favourite book, watch some Netflix, get some exercise, cook something familiar… Do what you need to do to stay grounded. By the same token, don’t spend too much time indulging in familiarities from home. That’s just going to prolong the agony. Find a happy balance between the new and the familiar. 5. Get out and explore! You’re here to learn, yes, but at the same time, you did not travel several thousand miles and conquer jet lag just to bury yourself in textbooks. Go hop on a tram or a bus and see where it takes you! 6. …that said, allow yourself down time. Just like at home, a night in once in a while is healthy, both physically and mentally. It will allow you to rest and help you avoid getting sick, and it will give you time to process your adventures abroad. 7. For the love of everything remotely classy, don’t drink your face off the whole time. Alcohol is often cheaper than water in Europe and the drinking ages are lower, so some of my classmates spent most of their time frequenting local watering holes. By all means, try the local ales, but you’re not there to get chronically sloshed. You’re there to learn and expand your horizons. Be a responsible adult and have some class. 8. Journal. Even if you’re not really into journaling. Journaling will help you adjust to the new cultures and situations you find yourself in. I found that there was so much to process during my semester abroad that writing about it helped me experience it better. Journaling will also help you remember your experiences years later. If you’re not into journaling, vlog, blog, or draw or do whatever you need to do to help you process your experiences. Your older self will thank you later. 9. Take transit and walk. No better way to get to know a city! 10. Bring good walking shoes. Save your feet. Birkenstocks are lovely, but at some point you’re going to need something that will let you move around town with a little more finesse and efficiency. It can be tempting to eat out all the time, especially if the exchange rate of a given country works in your favour. But, just like at home, cooking your own food helps keep costs down, and it can help with homesickness, too. 12. Learn to say “Hello,” “Thank you,” and “You’re welcome” in the language of your host country. These simple phrases will open doors for you. Want better service at your local café? Greet your waiter with a customary greeting before switching to English. Chances are that everyone will speak excellent English in the big cities, but by greeting them in their own language, you show that you’re taking a genuine interest in their culture and making an effort to learn. 13. If you’re still reading this, that tells me you’re seriously considering studying abroad. My last, and strongest, recommendation is that you just apply already! And then go invest in a good backpack or suitcase.